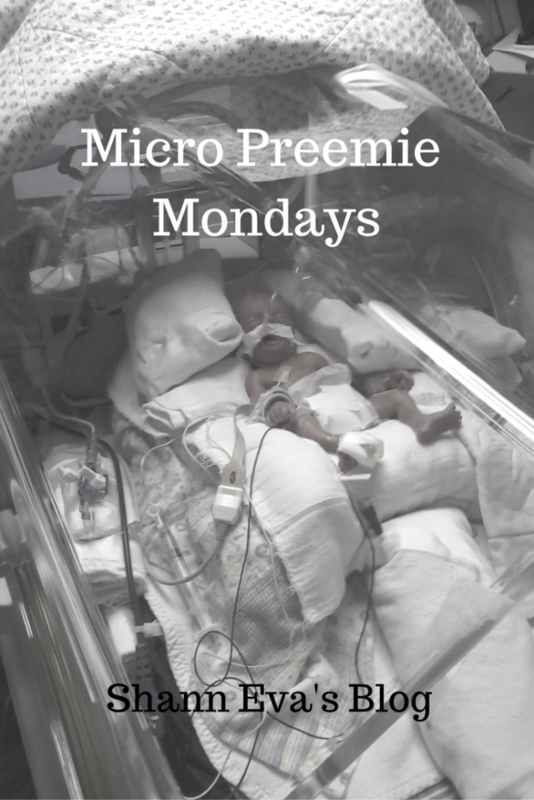 Every week on Monday, I feature the micro preemie story or NICU experience of another family. It is my hope to share these stories, not only to educate others, but to help those currently struggling feel less alone. These stories provide a small glimpse into what it is like to have a baby born before 28 weeks gestation and/or under 2 lbs. They also give some insight into what life in the NICU, and life after the NICU, is really like. I am always looking for new families to feature on the blog, so if you have a story you would like to share, please let me know. I’ve come up with a list of 5 questions for you to answer. I’d also like you to send between 4 and 6 pictures, from birth until now. These questions, along with the pictures, should be sent to shanneva@yahoo.com. I publish stories in the order received. Please remember, that by sending me your micro preemie story or NICU experience story and pictures, you agree to have them published on this blog. They will also be shared in my social media. If any of the pictures that you send were taken by a photographer, please include their name, so I can give them credit. Once I have received your story and pictures, I will edit it, and schedule it for publication. I will send you an email with the date you will be featured. You are free to share the post and respond to any comments. If you have any questions about anything on this page, please send me an email. If you would like to see an example of a post, please click on Blog, then Micro Preemie Mondays in the header above or you can click HERE. Thank you for your interest and for sharing your Micro Preemie Story and your NICU experience!